Most of my current and past research has focused on chelonian species (aka, turtles), with study sites located in the "global chelonian diversity hotspot" of the southeastern United States. Chelonians provide an interesting set of life history variables to study - they are long-lived, grow slowly, and have high adult survivorship. 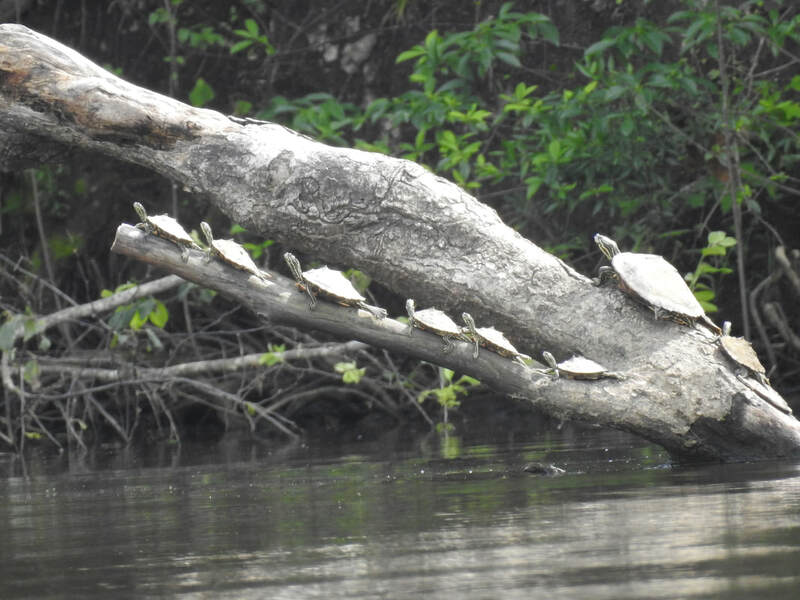 This unique suite of characteristics make turtles model species for research on ecological and conservation-oriented questions, especially over long time periods. Chelonians are also considered one of the most imperiled vertebrate groups worldwide, with many southeastern U.S. turtle species considered species of concern, threatened, or endangered. Avian research is also a research focus and interest of mine. Most of my prior work was in southwestern Louisiana, and it is one of the most important geographical bird areas in the U.S. It is on the eastern edge of the central flyway and the western edge of the Mississippi flyway, as well as being the terminus for many wintering North American species (especially waterfowl and shorebirds). The area is also an important stopover habitat for neotropical migrants and has a diversity of habitats in a relatively small area (i.e., shorelines, marshes of different salinities, grasslands, cheniers). Scroll over the research heading above if you are interested in past or current research projects. Ringed Sawbacks, Pearl River, MS. Pictured are seven males (small size) and one female (large).